LOCALS were disgusted after a corella was found shot in the wing in Alstonville. Principal Vet at Alstonville Veterinary Hospital Mike Fitzgerald said a "well-meaning" citizen found him on the ground a week ago and attempted to nurse him. "Someone had looked after him for a week but he wasn't improving so he brought him in," Dr Fitzgerald said. "We sedated him and took x-rays and found he has been shot through the wing and had a very splintered and shattered bone." "The air rifle shot had been lodged in his shoulder and because the wound was a week old and infected, he had to be euthanised." 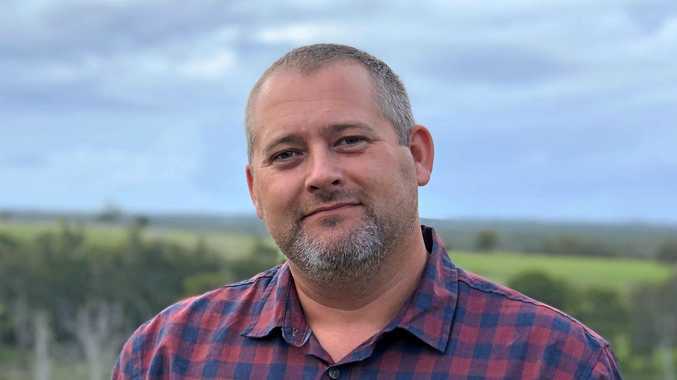 Dr Fitzgerald said while he was sickened to find someone had shot this wild bird, he wasn't surprised as some corellas had been resting in Alstonville recently creating a bit of noise. "Obviously someone has become frustrated," he said. "(I'm) just disgusted, you know it's not the bird's fault, it's defenceless, it is just a cruel act." Dr Fitzgerald said this was the first wild bird he had seen shot come through his practice doors. "We've seen other animals like dogs that perhaps have been roaming on someone's farm that have been shot," he said. "(Sometimes) it is an incidental find, when we x-ray for something else and see a slug pellet." 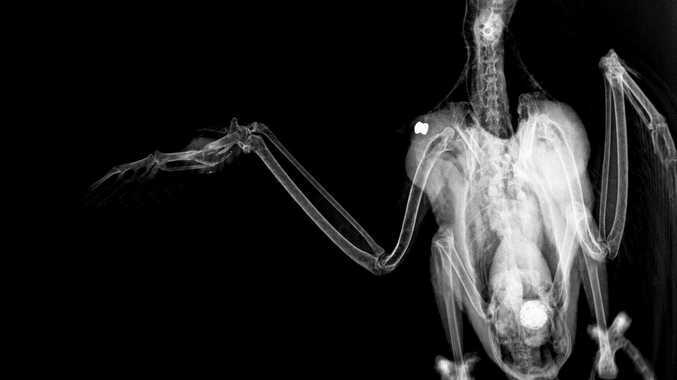 The birds x-ray's were posted to the Alstonville Vet Facebook page to urge residents to be more considerate about precious wildlife. "Even if you are frustrated by some noisy birds or bats, they've been here long before we were, it's not their fault they are just doing what they do and their defenceless," Dr Ftizgerald said. "It's just not a civilised, reasonable thing to shoot a bird or bat just because it annoys you a bit." "All the noise we create disturbs their life cycle, they've got to put up with us so I think we need to put up with them." Alstonville Vet has been busy with birds this week as they also treated an injured kookaburra after to was found caught on a barbed wire fence. Barbed wire claims the lives of many birds, bats and gliders. It was a slow and agonising death, by exhaustion and exposure. The veterinarian credited the rescuers for saving the bird's life after they cut the wire to remove the kookaburra rather than try to disentangle it. The Facebook post read: "This bird was lucky, in that it sustained treatable soft-tissue injuries, so we patched it up and sent it off to a carer to heal hopefully be released." "If you are on a property and have a choice not to use barbed wire, please consider wildlife." If you find an injured animal contact WIRES Wildlife Rescue Line on 1300 094 737 or visit your local veterinary clinic.